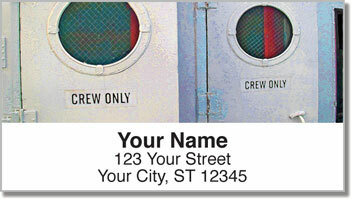 The eye-catching maritime photography on these return address labels features close-up shots from on board a yacht. Looking at these images, you can almost smell the salty sea air and hear the crashing waves. 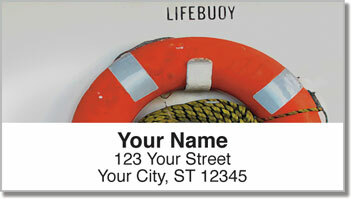 This is a great way for anyone with a love of boating to top off letters and packages with a personal touch. 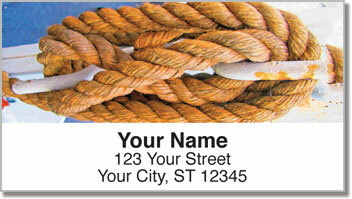 You're getting more than just attractive address labels. You're also getting a simple solution to preparing outgoing mail. Since they are self-adhesive you just stick a label on every one of those envelopes and send them on their way. 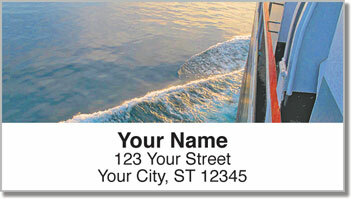 Order your very own All Aboard Address Labels today! Get them with matching personal checks to make it all complete.